It is a great privilege to recognize Dr. Zhu Mao as the recipient of the 2018 Mineral and Rock Physics Early Career Award. Zhu earned her B.S. at the University of Science and Technology of China (USTC) and her Ph.D. from Princeton University in 2009 working under my direction. 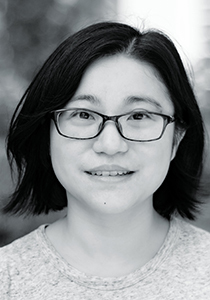 Following her Ph.D., Zhu was a postdoctoral fellow at the University of Texas with Prof. Jung-Fu Lin and at University of California, Los Angeles with Prof. Abby Kavner. Since 2013, she has been a full professor in the School of Earth and Space Sciences at USTC in Hefei, China. Zhu’s research on high-pressure elasticity, spin transitions, phase transitions, and equations of state of mantle and core materials is at the leading edge of current research in mineral and rock physics. In a series of papers, she characterized how the presence of hydrogen can affect the elastic properties of olivine polymorphs, and she used these results to better understand the role of water in the Earth’s mantle. Zhu has also pioneered advances in characterizing the complex spin-pairing transitions in ferropericlase, bridgmanite, and postperovskite under deep mantle conditions and explored their geophysical implications. Since joining the faculty of USTC, Zhu has continued to produce groundbreaking research in high-pressure mineralogy as well as being an outstanding mentor to students at all levels. Congratulations, Zhu, on this very well deserved award! —Thomas S. Duffy, Princeton University, Princeton, N.J. It is my great honor to receive the 2018 MRP Early Career Award. I’d like to express my deepest gratitude and appreciation to my Ph.D. advisor, Prof. Thomas S. Duffy, who guided me to the field of high-pressure mineral physics. Tom taught me a lot about how to do research and high-pressure experiments, inspired me to explore the big problems of the Earth, and gave me the chance to work on water circulation in the Earth’s deep interior and the elasticity of mantle minerals at extreme conditions. I also feel very lucky to have worked at the University of Texas at Austin under the supervision of Prof. Jung-Fu Lin as a postdoctoral researcher. Jung-Fu Lin offered me great opportunities to work on a variety of challenging topics. A number of works have been inspired by my long-standing collaboration with Jung-Fu Lin. I am very grateful to Abby Kavner, who has created a stress-free environment for me to work on the circulation of carbon in the Earth’s mantle. After I moved back to China, I received enormous support from the School of Earth and Space Sciences at USTC. It will not be possible to set up an amazing high-pressure laboratory without support from USTC. Finally, I’d like to thank my husband and my son, who are the strongest supporters of my career. I am so lucky to have you in my life. Thanks to the nominators and the MRP section for this award. Citation: AGU (2018), Mao receives 2018 Mineral and Rock Physics Early Career Award, Eos, 99, https://doi.org/10.1029/2018EO108769. Published on 13 November 2018.